Anali Alanis believes South Texas College changed the trajectory of her life. 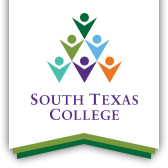 Former student and alumna Anali Alanis looks back fondly on her experiences at South Texas College. Born in China, Nuevo Leon in Mexico, Alanis said she came to the United States as a 12year- old. Entering middle school, she said she was bullied and often cried when she got home because she couldn’t speak English. Growing up, she said she often slept on the floor, and her family home lacked many basic amenities including air conditioning, heat in the winter, or hot water. “My mom would always say that we were here because they wanted a better future for us, but at age 12 it made no sense to me,” she said. Anali said she looks back on her parents’ own education. Her father and mother were compelled to drop out of school in the sixth grade in order to work on ranches, which prompted her to go to work right after high school to help the family. At age 20, Anali became a single mother, and her priorities shifted from her education to raising her new daughter. She applied for her first job with the City of Pharr and became a payroll clerk. While she was very offended and irritated by the remark, at the end of the day, Anali said she went home and realized that as much as she disliked the comment, she knew it was true. In the fall of 2009, she came back to South Texas College and realized she was close to obtaining an associate degree in Business Administration. She took advantage of night classes, weekend, and online classes, which enabled her to receive her degree one year later in fall 2010. “I remember studying in the portable buildings here on campus. That is where I started. This was my place. This is where I would drive from home, and I loved it,” Anali said. She then received her Bachelor’s in Applied Technology (BAT) from STC in 2015, and finally her Master in Public Affairs from the University of Texas-Rio Grande Valley. After obtaining her degree, Anali said she was able to move up in her career. She received a promotion at work and became the first female human resources director for the City of Pharr. She also serves as the Civil Service Director for Pharr and the president of the Human Resources Consortium in the Valley comprised of all human resources directors in neighboring cities.